The worldwide tablet market has been growing by 11.5% year on year in Q3 2014 according to the latest report published by IDC. Nearly 54 million units were shipped over these three months with back-to-school promotions in the US allowing little known RCA to make an apparition in the global market table at number 5, behind Lenovo. Apple, buoyed by the launch of new iPad models, is still the biggest tablet vendor with a 22.8% market share (and 12.3 million units sold) but that's an absolute drop of 1.8 million units compared to Q3 2013 (and a decrease in its market share of nearly 13%). IDC's analysts note that the growth in the Android market is fueled mostly by low-cost tablets with many models selling for around $100 (about £70, US$110) and many coming from a myriad of much smaller brands. The arrival of Windows 8.1 at the lower end of the market is likely to accelerate the erosion of Apple's marketshare but the Cupertino-based company shouldn't be concerned given that margins and ASP (average selling prices) of its tablets are several times those of its competitors. IDC's data doesn't split tablet shipments by operating system or form factors (tablets for example include 2-in-1 convertibles as well). Asus' rise to number 3, for example, was boosted by Windows-based, 2-in-1 devices. 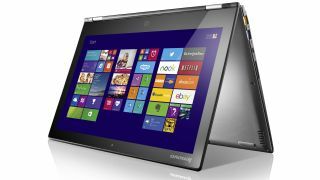 Check out our article on the best 2-in-1 hybrid laptops on the market.